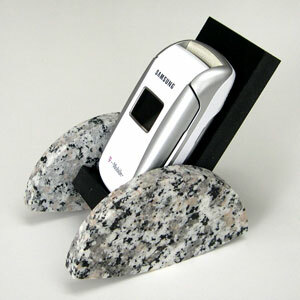 Old Cell Phone Rocker (natural granite): Does your older cell phone need to rest a bit more? Our Cell Phone Rocker is designed for older phones, not those newfangled smart phones! It's made of grey granite with flecks of black, white, grey, and rose. Comes with a 2" wide seat.